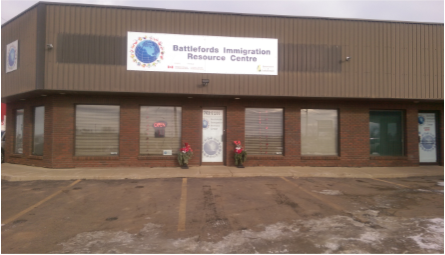 The Settlement Services offered through the Battlefords Immigration Resource Centre are designed to cover the areas that newcomers to Canada may need assistance with. 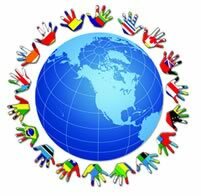 We have found that people often require assistance with: Immigration, Visas, Life Resources, Studying and Education. Immigrating to Canada involves applying for a visa, either long-term, or short-term. 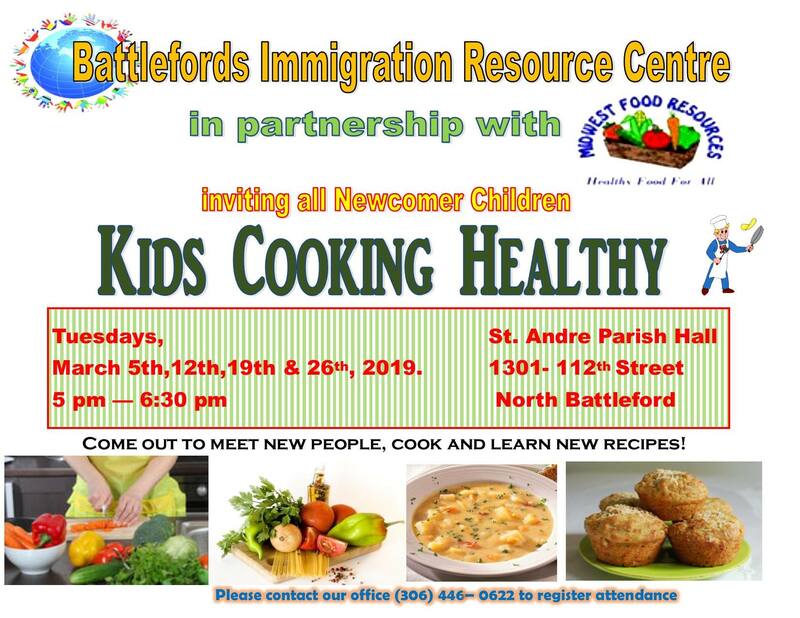 The Battlefords Immigration Resource Centre can provide assistance to newcomers in settling into life in Saskatchewan. 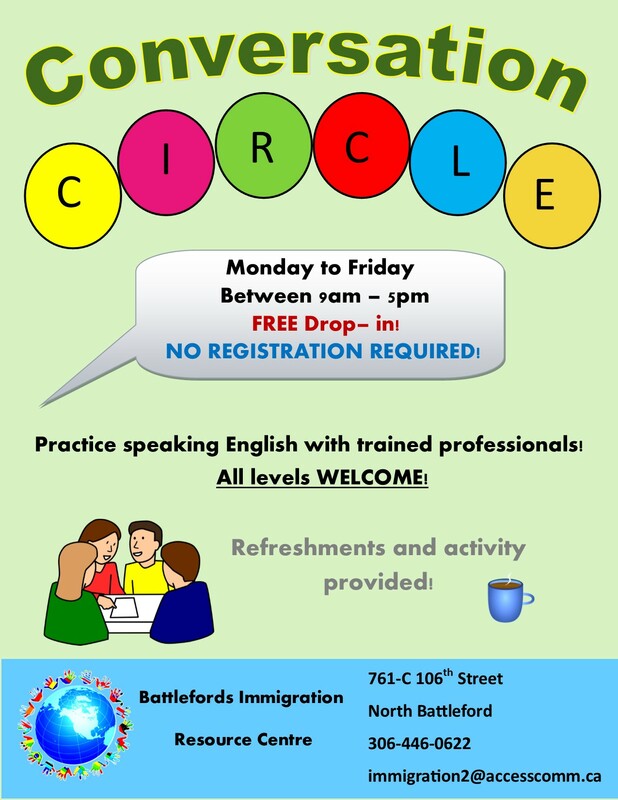 We can offer assistance to newcomers who would like to continue their post-secondary education, register for English classes, or start out by applying for a Study Permit. Staff may be able to arrange for a translator to be present to help you or to translate your documents. 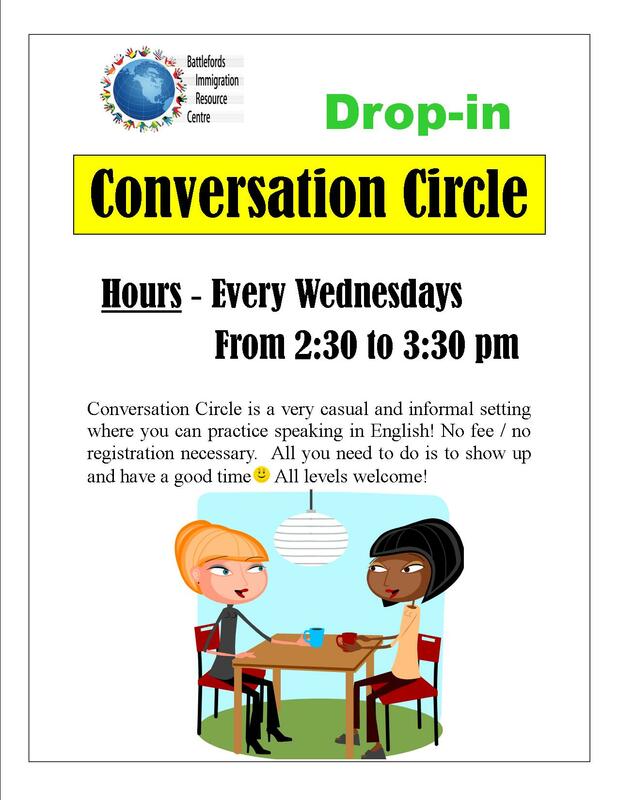 Conversation Circle is a very casual & informal setting where you can practice speaking in English. 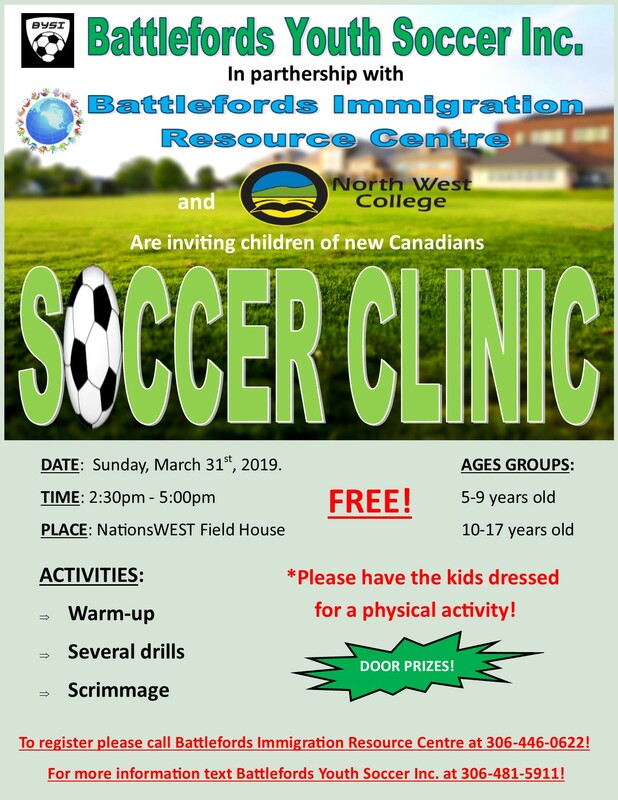 No fee or registration necessary.All you need to do is to show up & have a good time! Drop-in any day from Monday to Friday between 9am - 5pm or book a date! Are you a Permanent Resident in Canada? Planning to become a Canadian Citizen? or Bored trying to read & study on your own? 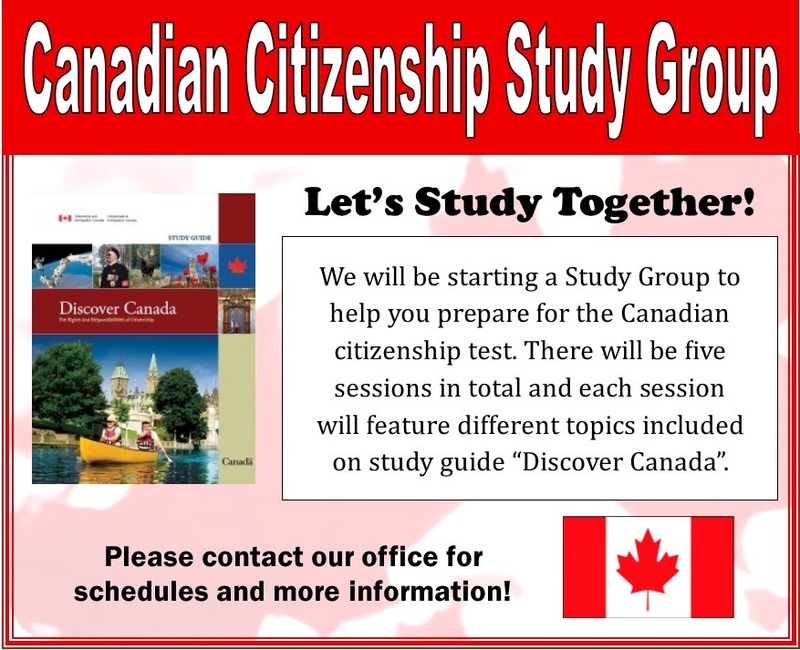 Then come join us & let's study together to prepare for the citizenship test! 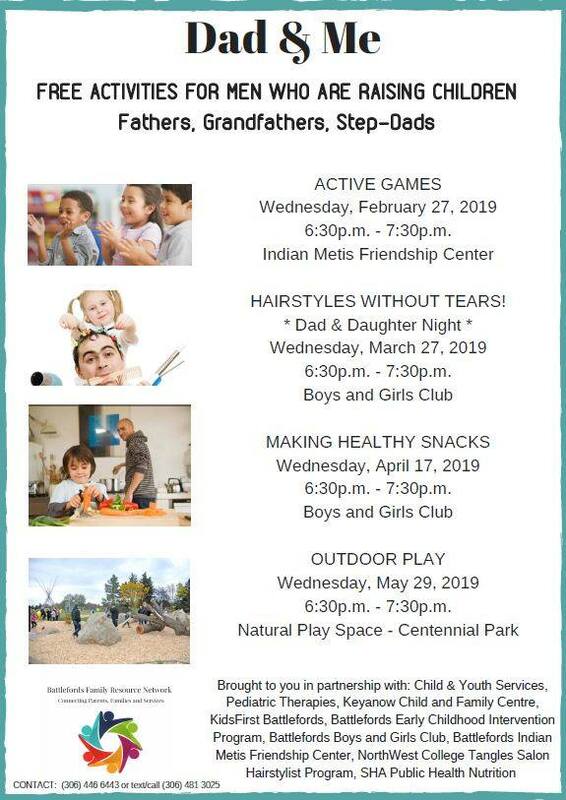 Contact our office for schedule. 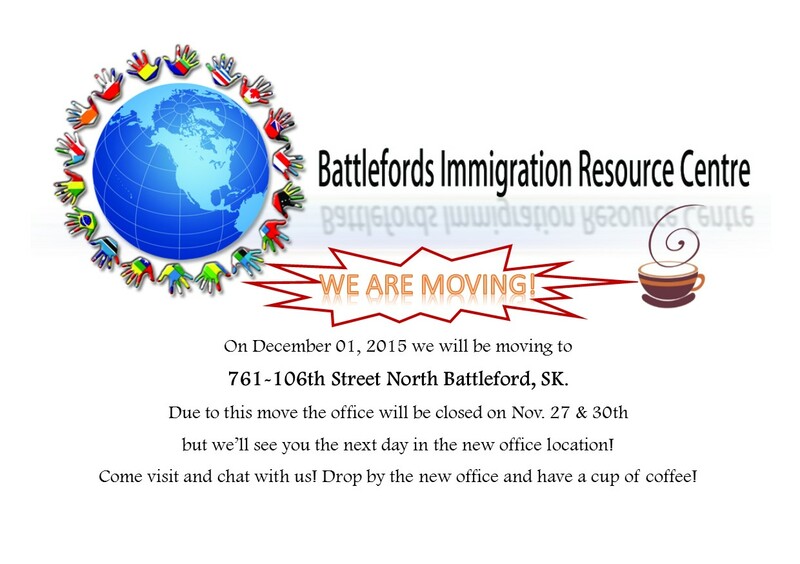 (BIRC) Battlefords Immigration Resource Centre is one of 11 Regional Newcomer Gateways. 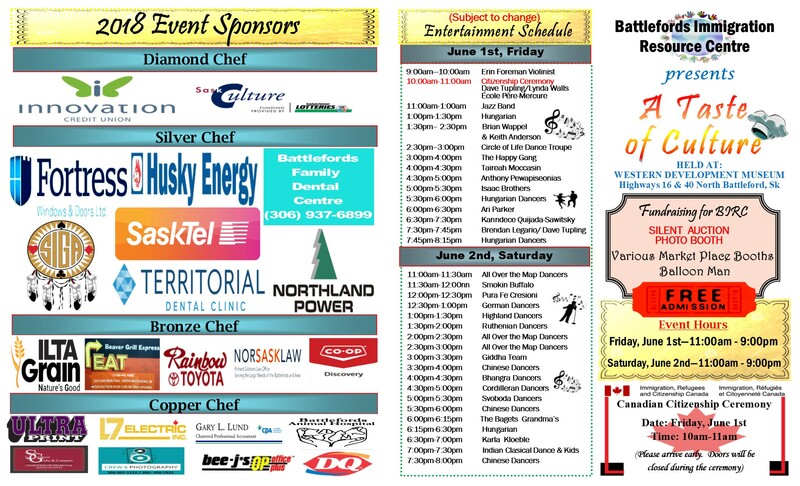 Regional Newcomer Gateways are first-stop welcome centres for newcomers arriving to Saskatchewan. Gateways assist newcomers to find the information, resources, services and people they need to make their new life in Saskatchewan a success. Newcomers do not need to physically go to a Regional Newcomer Gateway to access these services: They can simply phone or e-mail the Gateway. Settlement Advisors can travel to meet with the newcomer in or near their home community! Some services provided by the Gateway are designed for newcomers to Saskatchewan who meet certain requirements. Newcomers are urged to contact their Gateway to learn which services apply to them! The BIRC assist newcomers who are internationally trained get their Foreign Credentials recognized. 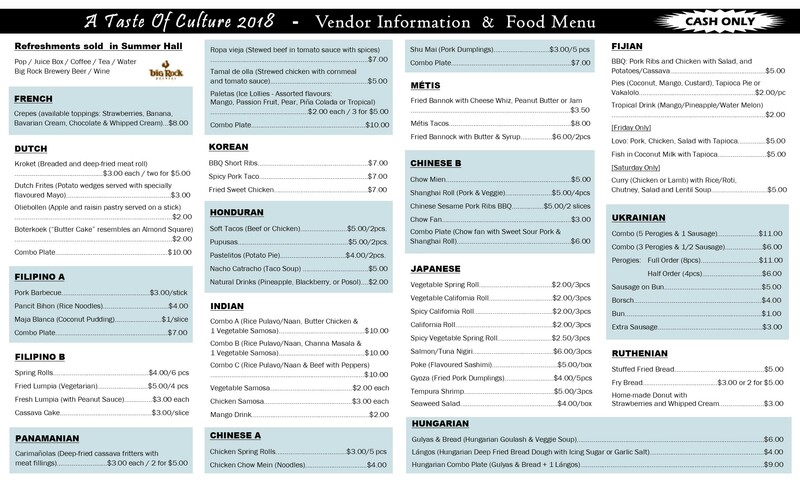 A Taste of Culture 2018.